We Operate 24 hrs Service! Thessaloniki is one of the major trading centers of Byzantium. The city is born Bulgarian educators Cyril and Metodiy.Arhitekturni monuments – a medieval fortress and castle above the city, Byzantine churches (4-7 century) with mosaics and frescoes – “Saint George”, “St. Dimitar”, “St. Sofia “(paleochristians and Byzantine monuments are included in the List of World Heritage by UNESCO). One of the most famous attractions is the White Tower, Thessaloniki. Other less known are the city wall, arch, etc. Galerievata. The town is well built with large squares (St. Sophia, Aristotelis) and wide boulevards (Alexander The Great). Thessaloniki is the second largest city in Greece. Thessaloniki is the administrative center of Aegean Macedonia. Situated near the river Vardar, in the Gulf of Thessaloniki on the Aegean Sea. Population: 370 thousand inhabitants (agglomeration in 740 thousand inhabitants). Economy: Textiles, shipbuilding, petroleum refining industry. Annual Fair. 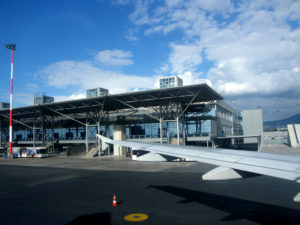 Transport: railway junction, airport, port.